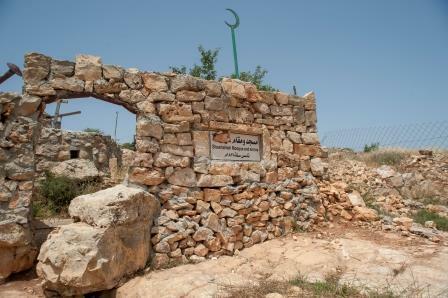 Kherbet Shushehla lies to the south of Al Khader city in Bethlehem district, and houses dozens of residential homes, old wells, a mill, a cemetery dating back to the Roman era, and an Islamic mosque that was built in 1878. Historically, Palestinians have resided in Kherbet Shushehla until their complete displacement in 1984 by the Israeli occupation forces, expelling them from their land, and setting their homes on fire. 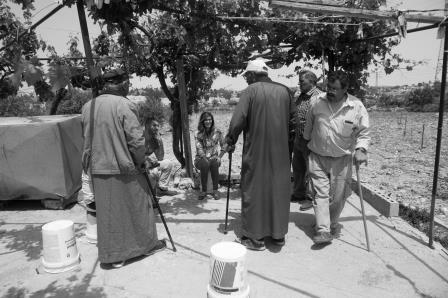 Despite their forcible displacement, the Palestinian families from Shushehla returned to their land and homes in 1994 and started a self-renovation campaign to restore their homes, mosques and agricultural lands which were destroyed by the Israeli occupation. Currently, (number) families moved back in their village. Shushehla is classified as area C based on the Oslo Accords II, where Israel retains full and exclusive control, civil and security, and as such, Shushehla was no exception to Israel’s policies of house demolition and illegal settlement expansion in areas C of the West Bank. An initial assessment of St. Yves’ field visit to the village reveals that the Shushehla village is in an extremely difficult situation of suffocation due to Israel’s settlement policies, in terms of settlement expansion and settler-violence, as well as arbitrary policies in areas C, including home demolition, blockades and restrictions on movement, with the aim of creating a coercive environment and forcibly displacing Palestinians from the area. 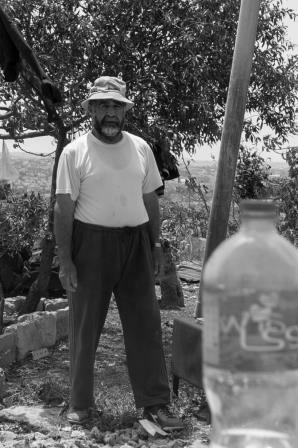 “The occupying forces tried to force residents out of the village in 1982, however the failed, yet they tried again and succeeded in1984, where people were expelled, and the city was evicted to build “Daniel” settlement. After the expulsion, in 1994, we gradually tried to return and preserve what’s left of our land, and the Israeli occupying forces reacted by prohibiting us from residing on our lands, and the settlers burnt our houses and trees”. As a result of Israel’s planning and zoning policies in areas C of the occupied Palestinian territory in the West Bank, Palestinians cannot build nor expand on their own property unless they have a building permit issued by Israel’s Civil Administration. However, Israel makes it nearly impossible for Palestinians to actually obtain a permit, a situation which leaves them no option but to build anyway, without the permit, eventually receiving “a stop-work” order and evolving into a situation of demolition. However, on the very same Palestinian areas where Palestinian construction is crippled, illegal Israeli settlements continue to expand, totally unhindered. 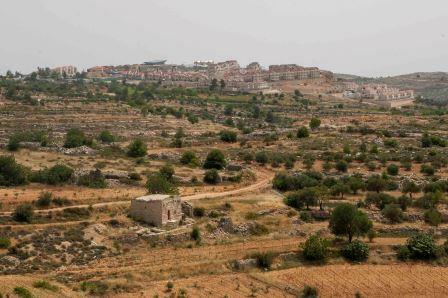 Today, the village of Shushehla is surrounded by 4 Israeli settlements: Daniel, Efrat, Sayed Boaz and Eliezer. Like elsewhere throughout the occupied Palestinian territory, settlement expansion policy does not only entail land grab and displacement, it also comes with an invisible part of violence: the settler violence. In Shushehla, residents live in fear and panic from settler terror and constant harassment. Israeli settlers have set some houses in Shushehla on fire and uprooted their olive trees on different occasions. On the other hand, arbitrary planning and infrastructure policies complement settlement policies in terms of forcibly transferring Palestinians from areas C. Shushehla is denied access to basic services (Water, electricity, sewage, roads and connections) and facilities (Schools, medical clinics, etc.) needed to sustain human life in the village, causing an extremely poor quality of life and standard of living, eventually coercing residents out of the village. Residents who decide to remain in their village live in it despite the struggle, and inability to build or renovate, facing the possibility of home demolitions on daily basis, under the pretext of lack of permit. Israel’s denial of permits to build and develop the area, along with the settlement enterprise that surround it have created a situation of high restriction on the freedom of movement and access to the village. 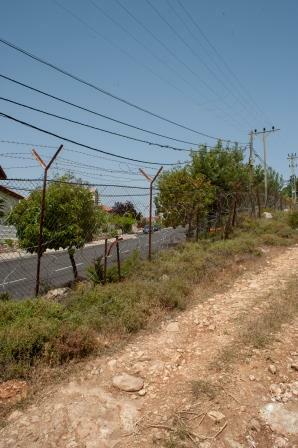 Access to Shushehla is difficult and dangerous due to its location at a dirt sub-road from Road 60 (a highway for the exclusive use of Israeli settlers), making Shushehla a remote and isolated area despite its proximity to the city of Bethlehem, and the only access point to the village has been occasionally blocked by the Israeli army. Moreover, there are no paved roads inside the village. Residents of Shushehla face settler’s violence under the protection of the Israeli military, where settlers disturb the peace of the residents and vandalize their homes and lands to ensure the residents are driven out and the lands could be annexed into the settlements without trouble. The residents of Khirbet Shushehla are denied the access to the most fundamental human rights and are unable to exercise the rights which are guaranteed to mankind through international norms, conventions and customs, many of which are considered peremptory norms (Jus cogens). The residents of the area are deprived of several rights, starting with and most fundamentally the right to self-determination, the right to an adequate standard of living which can't be separated from the right to education and health (clean Water, food, etc. ), the liberty and security, the inherit right to dignity of a human person, right to movement, family life, property rights and many others. The rights of residents of Shushehla are violated constantly and aggressively, by settlement expansion, settler’s violence and home demolitions. 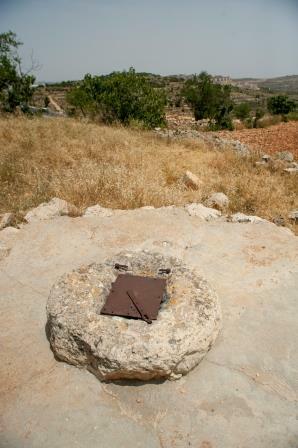 The occupation authorities in the area region do not abide by the obligations of an occupying power imposed on them by humanitarian law, which include primarily and most necessarily in this case specifically, the prohibition of making changes in the place where it is occupied and the duty to provide infrastructure for the residents of the areas under occupation and fail on purpose to provide them. The occupation authorities promote the idea that they own and administer the land, aiming to create a de facto situation where the area is annexed by the four surrounding settlements, and citizens are driven out. This policy is enforced by Israel in area C of the West Bank, which promotes forcible transfer that may lead to a Palestinian Catastrophe once again, effecting the lives of Palestinians and negatively influencing any future political solution for Palestine. 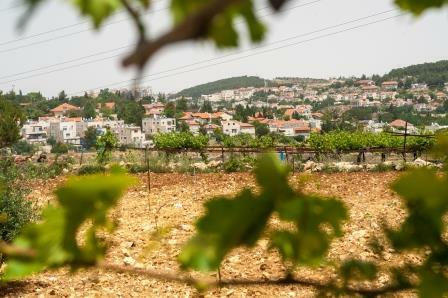 The United nations in both its bodies, the general assembly (UNGA) and security Council (UNSC), has asserted in many occasions the illegality of settlements. The GA adopted a Resolution 89/70 on December 9th 2015 on the illegality of the Israeli settlement in the occupied Palestinian territory (oPt) basing its resolution on the International Court of Justice advisory opinion on the Wall, UNSC resolutions and statements by the high commissioner for human rights, considering that those settlements are resulting forcible transfer which under article 49 of the 4th Geneva convention is prohibited: “Individual or mass forcible transfers, as well as deportations of protected persons from occupied territory to the territory of the Occupying Power or to that of any other country, occupied or not, are prohibited, regardless of their motive” and further considered a grave breach in article 147 of the same convention when defining grave breaches of humanitarian law “[…shall be those involving any of the following acts, if committed against persons or property protected by the present Convention: [… unlawful deportation or transfer or unlawful confinement of a protected person…]”. The rationale behind such articles and prohibition is to ensure that the occupation is temporary and prevent the occupying power from acquiring long-term interests through military control and to protect occupied civilians from theft of resources by the occupying power. This prevents a de facto situation from evolving and ensures no change in the demographic makeup to occur. Forcible transfer falls within crimes against humanity identified in article 7 of the statute of the International Criminal Court (Rome statute), that entitles individual responsibility in the International Criminal court for those involved. Israel has an obligation as an occupying power, to abide by International Humanitarian law, codified in The Hague regulations and Geneva Convention, which is considered to be the Customs of the war, making those regulations biding on states even when they are not member states to the international agreement, which was further endorsed by the United nations, the UNSC and UNGA, as well as the Wall advisory opinion in 2004. Moreover, many there are resolutions that confirm the illegality of settlements and annexation, and demand putting an end to it and eliminating existing settlements, including those in Jerusalem. One of duties of an occupying power is to act under the best interest of the occupied people. Israel’s responsibility as an occupying is to maintain order, protect civilians from any aggression, a most importantly respect their rights and provide their needs as protected persons under the 4th Geneva convention. Home demolitions is one of the strategies promoted by the occupation authorities through illegal military orders and laws which serve to establish, maintain, and expand the unlawful settlement enterprise, leading to the forcible transfer of Palestinians and aiming to manipulate the area and evict it. This policy has been based on a wide array of arguments and justifications to circumvent international law, in order to continue the policy and the subsequent displacement of Palestinians. Some of the justifications used include the lack of building permits especially for those homes in Jerusalem, the requirements of military necessity. The military necessity can’t be established in the cases of most home demolitions, where houses routinely and repeatedly demolished as part of a state policy, only to coerce the families out of their land, which is a war crime, and used as a collective punishment. Therefore, it’s very difficult to separate forcible transfer as a wide spread and systematic policy and home demolitions. Since 1967, The number of houses demolished under different assertions exceeds 48488 house and other structures, 12000 (3-5%) of those were a part of punitive home demolitions. According to the Palestine Liberation Organization’s Negotiations Affairs Department, the number of demolitions in the oPt are over 30,000 since 1967, and in Jerusalem over 3,380 homes and other structures overall. Today houses are being demolished on the basis of punitive, administrative measures, and under the justification of military necessity, noting that most houses are inhabited by more than one person, therefore such measures affect an entire family. Israeli policies in areas C constitute a situation of mass human rights violations under international law and international humanitarian law. The Israeli Occupying authority does not abide any laws or regulations and does not take humanitarian law and human rights into consideration, in fact, current Israeli political and legislative echelons not only insist on upholding policies of forcible transfer in contempt of international laws and calls by the international community to halt such policies, but also adopt new measures that fast-track forcible displacement. 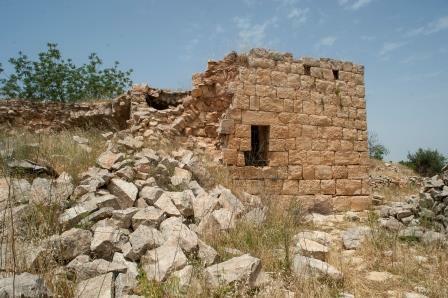 Examples include military order 1797 which was issued on April 17, 2018 and put into effect on June 19, 2018 expanding the arbitrary powers of the Israeli Civil Administration (ICA) to remove or demolish new structures built without permits in Area C.  The only ways to avert that based on this military order is if the owner was able to prove that the construction has ended since over 6 months and the owner has inhabited the place for at least 30 days before the order was issued. The second way is, if the owner was able to present within 96 hours of the issuance of the order of demolition a master plan covering the structure. Either choice denies Palestinians of genuine right to due process and ability to challenge the demolition order in legal avenues as such, since Palestinians are discriminated against in planning and zoning policies, making a building permit unattainable. Another example is the passing of the bill which transfers jurisdictions of High court to Jerusalem affairs court, which effectively makes it much harder for Palestinians to have any access to justice in planning and building in areas C. The cases under the Administrative affairs Court in Jerusalem would become more complicated and prolonged, and while appealing to the HCJ or to the Supreme court would still be available, yet it would be much more limited and expensive. Such policies and their escalations combined reveal the insistence of Israel's government to maintain situations in contradiction of international law and legitimacy. See Hague Regulations art. 46; Fourth Geneva Convention art. 53. In the Regulation 119 case, it was held by one judge that deterrence would constitute military necessity. See also, B’Tselem, Background on demolition for alleged military purposes (Jan. 1, 2011), http://www.btselem.org/ razing. ICAHD, The IDF’s Decision to Halt Punitive House Demolitions: a Small but Welcome Step (Aug. 6, 2012), http://icahd.org/2012/08/06/the-idfsdecision-to-halt-punitive-house-demolitions-a-small-but-welcome-step/. 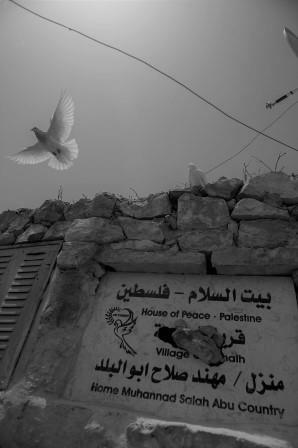 Palestine Liberation Organization, Negotiations Affairs Department, Home Demolitions: A Grave Violation of International Humanitarian Law (Dec. 2015), https://www.nad.ps/en/publication-resources/factsheets/home-demolitions-grave-violation-international-humanitarian-law. See also, Palestine Liberation Organization, Negotiations Affairs Department, Israeli Home Demolition Policy in Occupied East Jerusalem (Aug. 2013), https:// www.nad.ps/en/publication-resources/factsheets/israel-home-demolition-policy-occupied-east-jerusalem-august-2013.